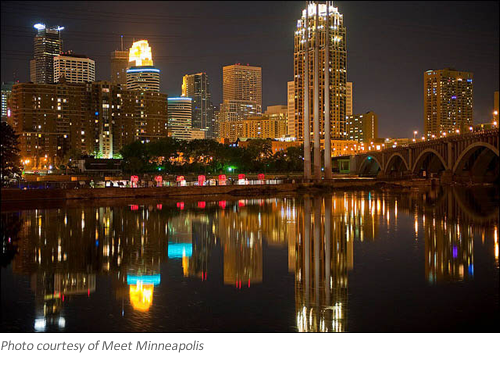 The 40th ISASC Convention was held May 3th through May 7th in Minneapolis, Minnesota. 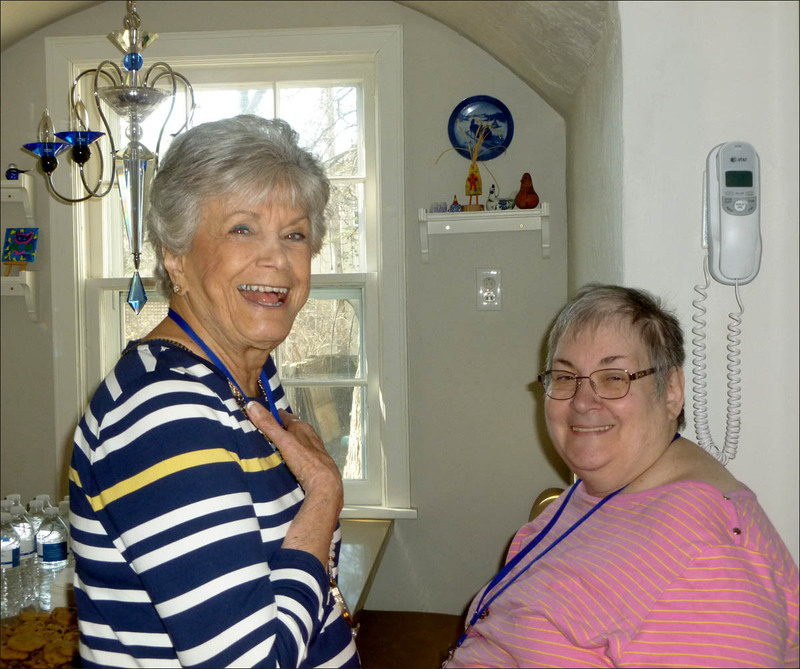 The excitement was evident as members arrived to share the camaraderie and good times they have come to anticipate at these gatherings. This time was no exception. The convention exceeded all expectations and the weekend proved beyond measure to be another memorable "scalies" reunion. The convention kicked off Thursday night with a dinner followed by a tour at the American Swedish Institute, a museum and cultural center housed in a 1908 mansion. Originally built as the private residence of Swan Turnblad, owner and publisher of the largest Swedish language newspaper in the United States, and his wife Christina, it is an imposing structure which came to be known by the locals as the Turnblad "Castle." 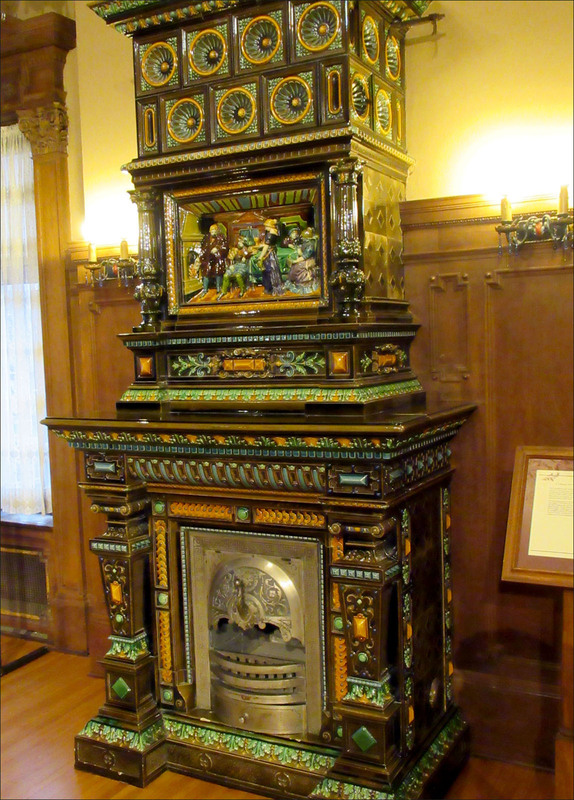 The guided tour covering three floors quickly revealed the wealth of the Turnblads with the stunning architecture, intricately carved woodwork and imported ceramic fireplaces throughout the house. Impressive at say the least! As an added treat, member Bill J. played for us on one of the two lovely grand pianos. Friday was a marvelous day for scale collectors. First stop was the home of member Bob J. 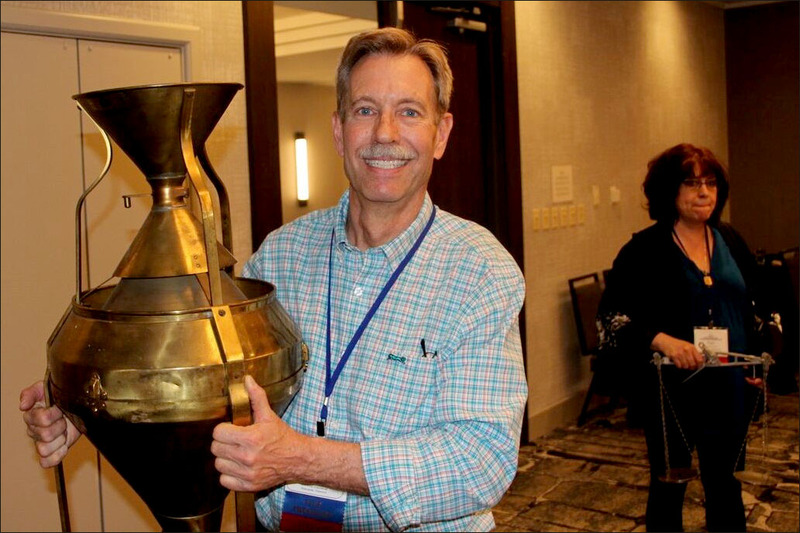 His collection is a grand testimony of the several decades of collecting under his belt. With all there was to see the group spent most of the morning there. If anyone was in need of nourishment Bob had his special chocolate chip cookies for the taking on a platter in the kitchen. As we were leaving it was noted that few were left. 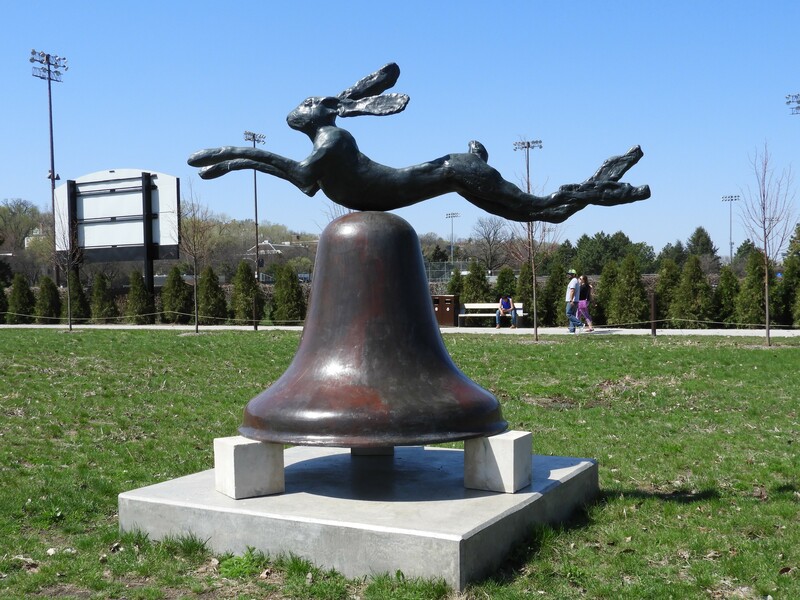 Next stop was to see the collection of Fred R. On the way we stopped for a brief stroll through the Minneapolis Sculpture Garden showcasing more than 40 iconic creations. It was a gorgeous day to be outside and see this artsy side of Minneapolis. Fred's collection is a prime example of what a person relatively new to scale collecting can achieve in a short period when they put their mind to it. 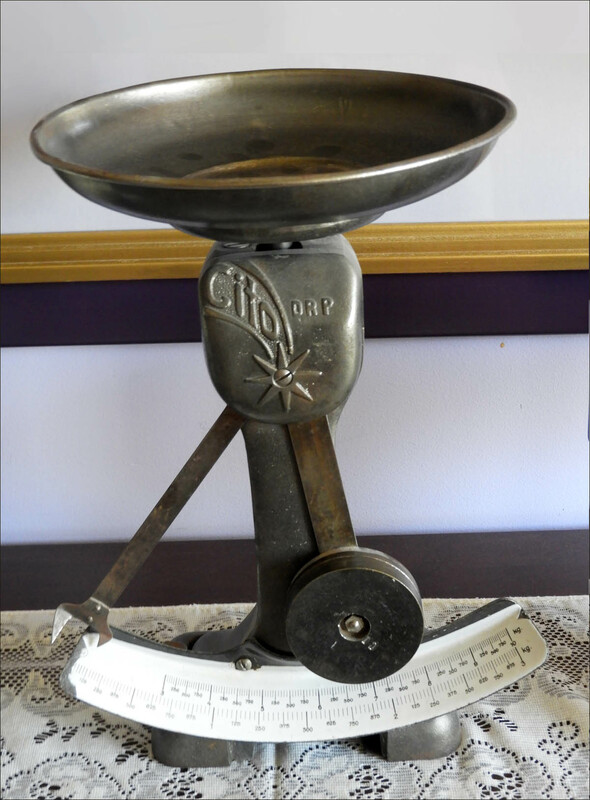 Scales were found in abundance in every room of the house. 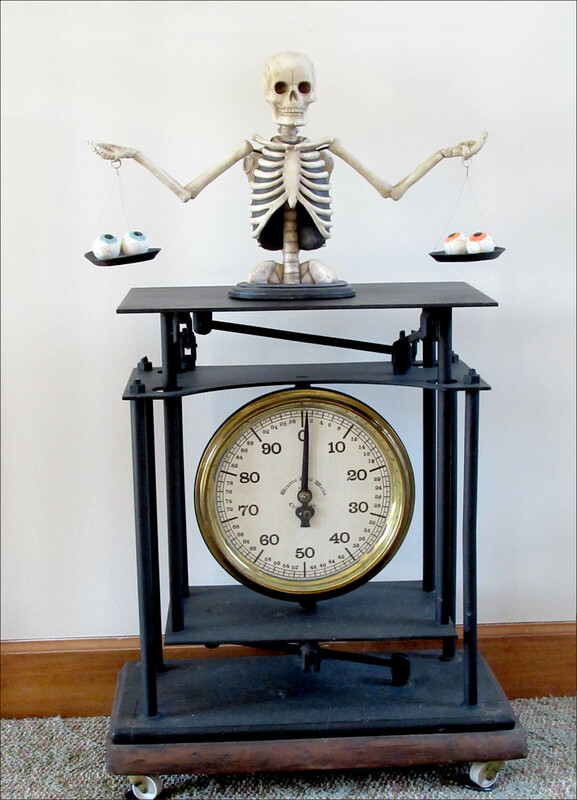 Alongside the scales were lots of items of an eclectic nature that Fred also enjoys collecting. There was plenty of time to browse. When you were ready, tables were set up in the garage and a buffet spread of pulled pork barbeque and salads fully satisfied the appetite you had worked up while taking in all there was to see. Most tackled the job this way—a little scale viewing, lunch, some more scale viewing and then a trip back to the buffet table for dessert. The day finished up with the Friday night get-together and album sharing. 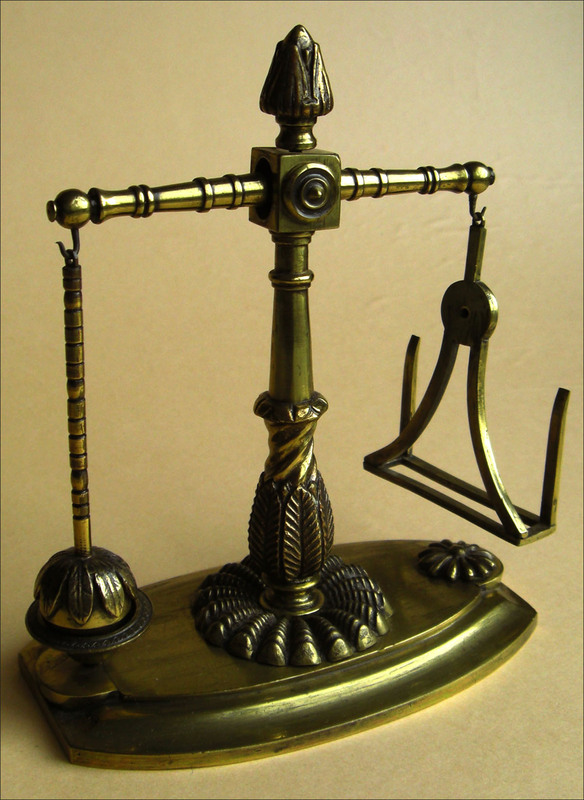 It is the chance to view other collections pinpointing the scales that you would like to acquire. 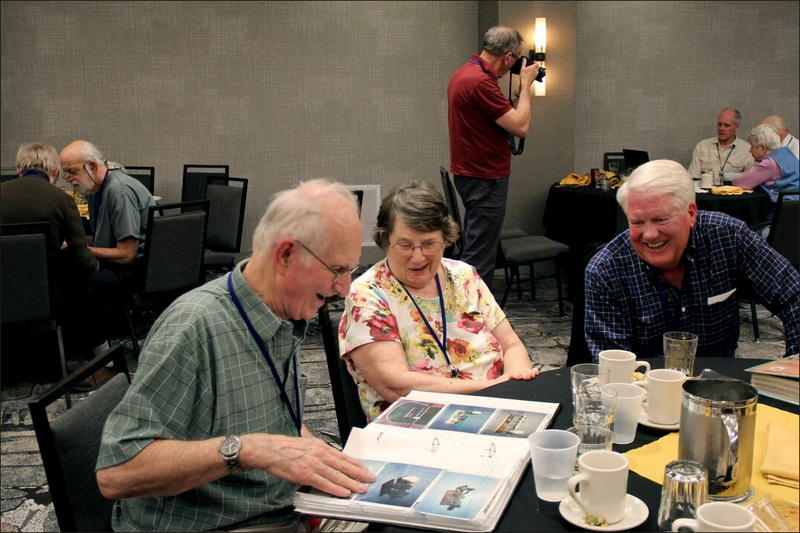 It was a great time to catch up with folks you hadn't seen for a while and meet the ones attending their first convention. As the evening progressed the fellowship that prevailed carried through the weekend. The Saturday morning program was fully booked. James R. spoke about how scales are used in the modern grocery business. Ernie S. gave a detailed summary of the results of our recent member survey and the work done for us by the two student interns from Duquesne University. The goal was to have these public relations majors help us explore more ways to "advertise" ISASC through social media in order to attract new members. 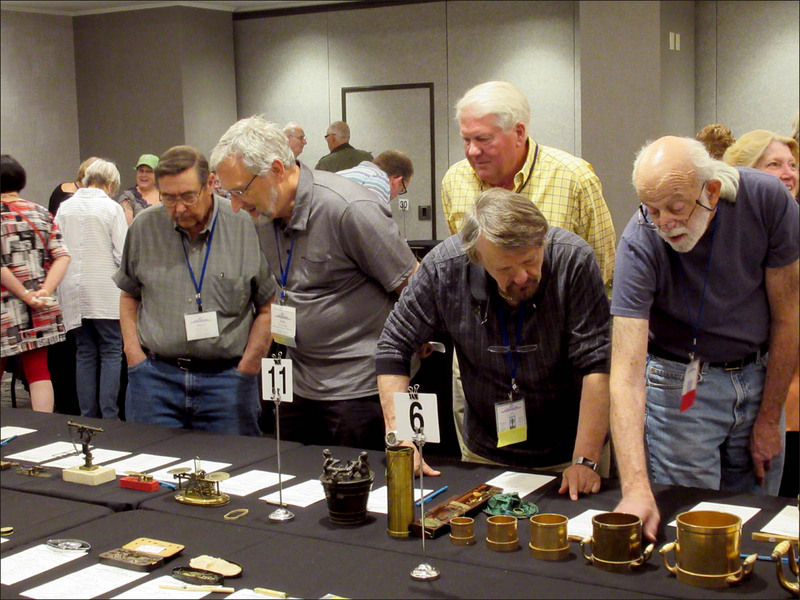 The Ball and Rod Mystery was the title of the presentation by Diana C. with many slides of rare ball and rod scales. 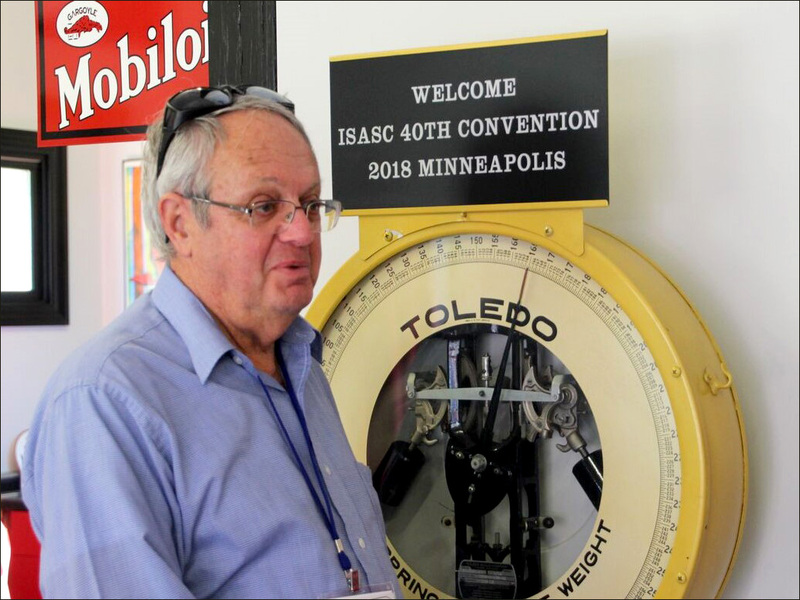 Fred R. tied into an important Minnesota state industry with his program exploring the subject of the measurement of wood and how measurement is used in the processing of wood from the tree to the final products of lumber and paper. The morning finished up with guest speaker Mark Johnson Jr., President of Rice Lake Weighing Systems, who provided an interesting historic overview of the company and how today it plays a role in the worldwide need for modern weighing. Saturday afternoon was the perpetual favorite of habitual convention goers, the Silent Auction and Let's Make a Deal. 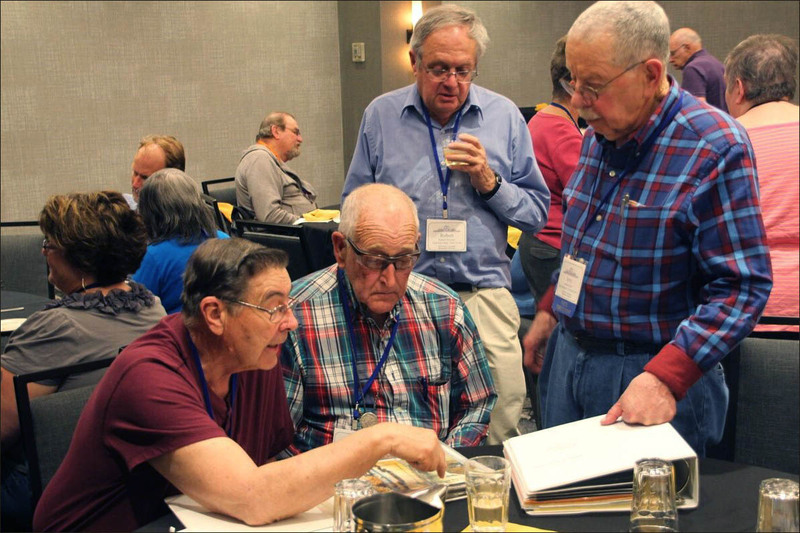 With all the items available, it was a hard choice for the crowd of eager participants to narrow down their selection of what to bid on. Final decisions were made, and from the look of things as folks left the room two hours later, no one went away empty handed. Show and Tell led off the Sunday morning program. First up was Steve B. with his question "When is a boxed scale not a box scale?" He had recently acquired a scale in a box that quite intrigued him. Thorough his research he learned this scale in a box was actually part of a larger apothecary chest, and thereby was a boxed scale, but not in the sense that we normally think of as a box scale. 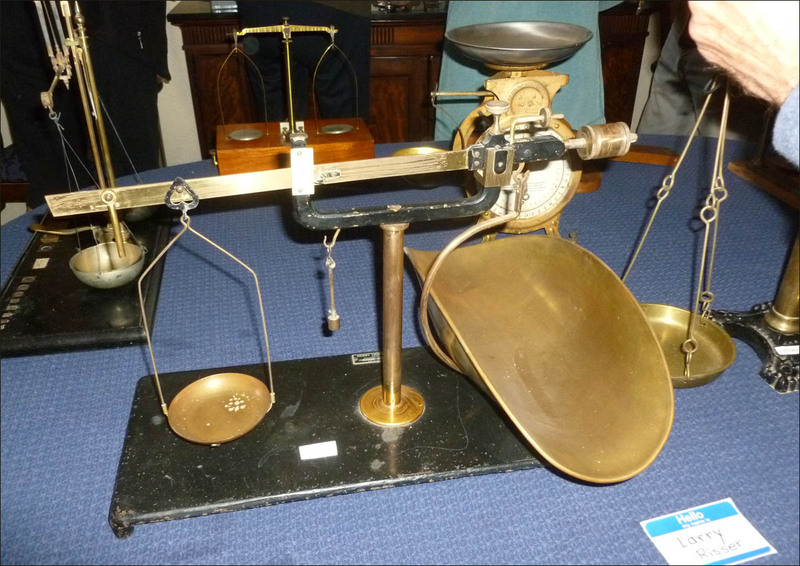 Next Bob B. related that he had to decide what to transition to in his collecting after donating his larger computer scales to the local historical society where he lived. He ultimately decided the best fit for his downsized lifestyle was to collect images of scales. He went on to show us several of these images from his collection. Kurt B. showed scales he picked up on a trip to Mongolia made from the bone of the yak. Mike F. unveiled a newly discovered French folding dual poise balance labeled Chevalier a Arrest 1811. 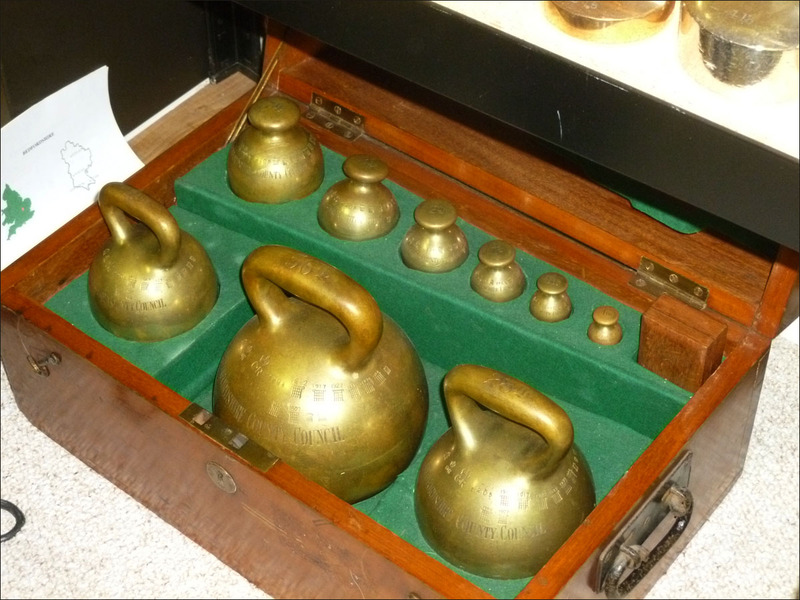 Greg H. told us about a subset of his collection. He shared his notebook binder where he keeps his collection of verifications seals and stickers from scales. To his knowledge no other member is doing this and wanted to know if others had an interest in such a thing. Greg M. brought an interesting weight that wasn't particularly old and can be purchased today. What appeared to be one weight is actually a stack which breaks down into eight weights. 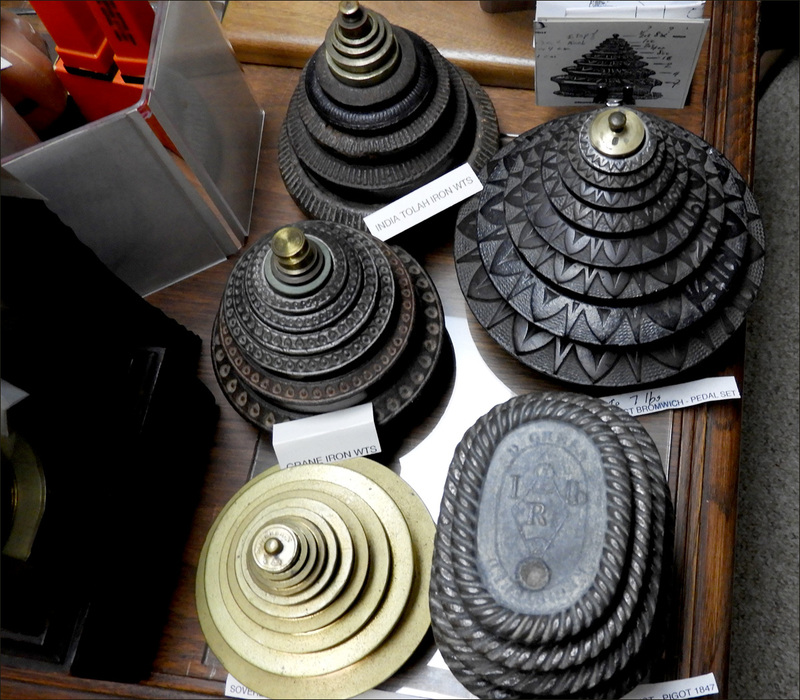 These are used for regulating the touch resistance of piano keys. Diana C. showed a folding balance with twin beams made out of "paktong." She went on to explain where paktong originated from and that today it is more commonly known as German silver or nickel silver. 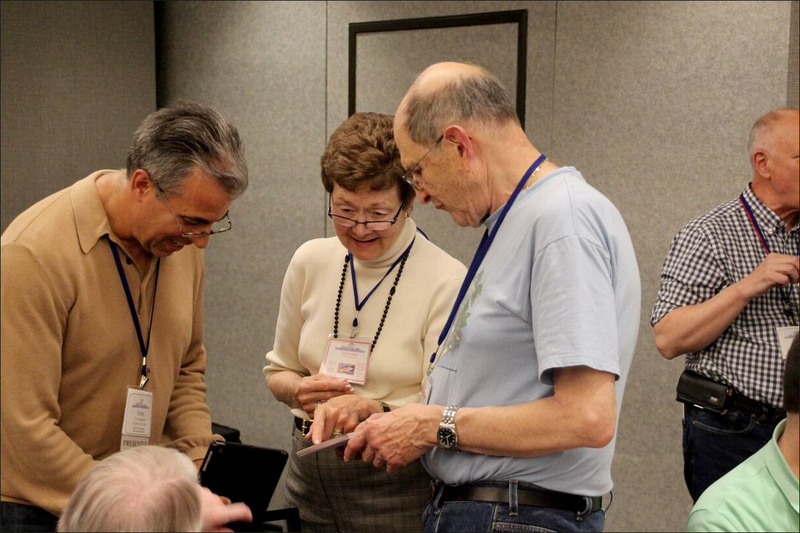 This year's convention added a Sunday afternoon activity. Members toured the Mill City Museum. Restored around the ruins of what was once the world's largest flour mill, they learned about the historical significance of the area and its economy. Sunday evening the fun extended as a large contingent headed over to Mall of America to eat at Cowboy Jack's. 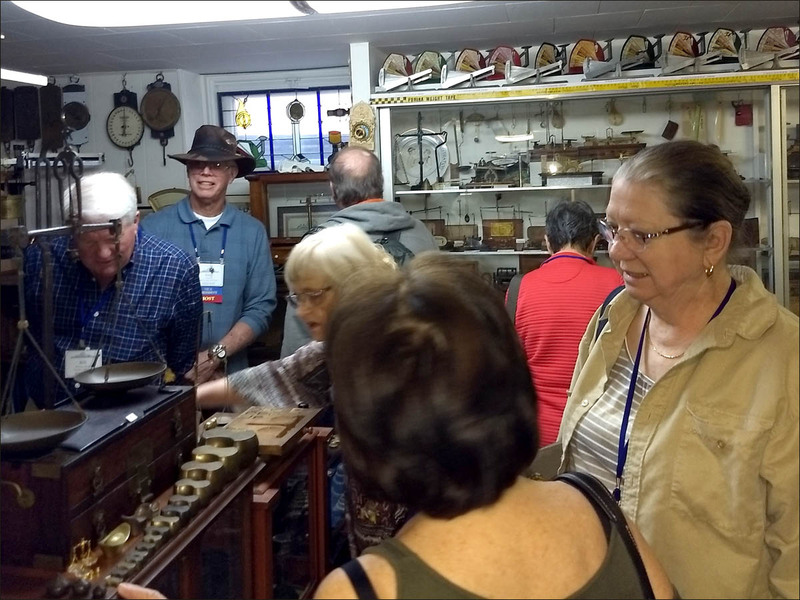 Early Monday morning the group headed out for what they thought was more scale viewing at the home of member Vladimir V. Little did they know the scales are only a minor part of his collection of everything antique. If you can think of it, he had it, and most likely more than one of it. It was truly mind-boggling! Every time you circled though the house you saw something you hadn't seen the previously trip around. The day continued as we headed to Stillwater, considered the birthplace of Minnesota. We had a delicious catered lunch at the Carnegie Library. Finished in 1902 with funds from Andrew Carnegie the city has maintained the striking original architectural aspects of the building and today it stills serves as the town's public library and community center. There was some free time to browse and buy at the numerous antique shops located close together. Then back to the hotel to start saying our goodbyes with promises to see each other at next year's gathering. The 2019 ISASC Convention will be held May 2nd through May 6th in Austin, Texas. Hosts Eric and Judy Soslau and Bob and Carol Hayden are excited to show off their hometown. Initial planning is promising an exciting convention. 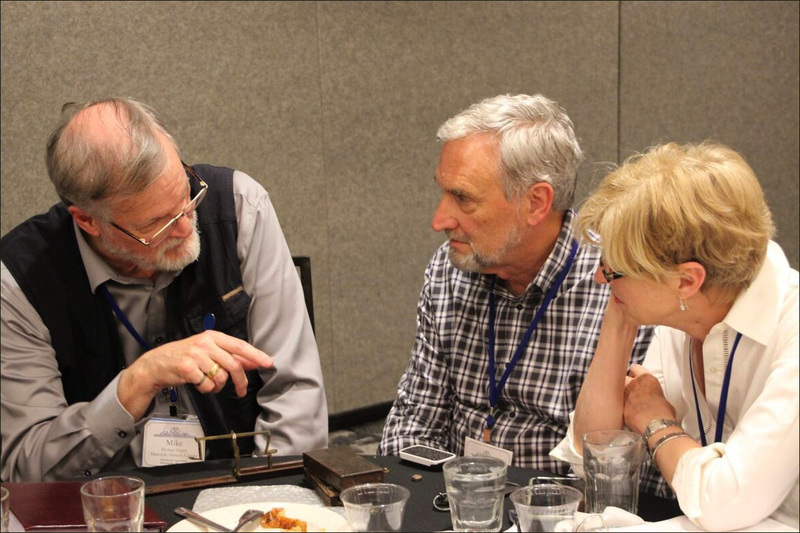 President Bob Hayden, along with the board members, invites you to join them. Long time convention goers and first timers are all welcomed. So make plans to come to experience Austin and the surrounding Texas Hill Country. You will not be disappointed. See ya there!